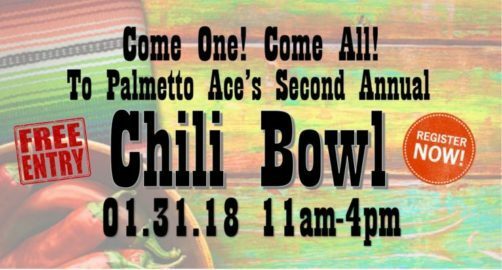 Join us for our 2nd annual Chili Bowl at Palmetto Ace. Judges will select a Best of Show, and customer will vote for their Fan Favorite while raising money for MUSC Childrens hospital. Register before January 24th. Limited spaces available.